Marshall University's club sports , such as rugby, lacrosse , club soccer or cricket, now have a new place to play and practice: A.D. Lewis Field. 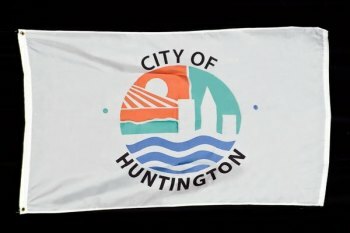 Huntington City Council approved a $500 a month "secondary use" memorandum of understanding. The contact will not affect the practice or play date schedule of D.C. Express. "We know when their games and practices occur," explained Scott Lemley, director of planning and development. Brandi Jacobs-Jones, Marshall University senior vice president for operations and chief of staff, told council members that "today's student wants to compete and engage outside with their peers. We don't have enough recreation space for "emerging" club sports. She described them as "recognized campus groups" for which the university pays for equipment. With A.D. Lewis Field as a secondary use venue , Marshall will provide new goals for the field and the rental fee goes toward improvements, such as bleachers. Jacobs-Jones, a former city council member, added that this will be an opportunity for the community to come together with the university. District 5 councilwoman , Tonia Kay Page, agreed. "It's a way for children to see more than football and basketball," she said. Jacobs-Jones noted , "it's mutually beneficial." Marshall University carriers its own liability insurance and will be responsible for injuries or deaths. Council passed the ordinance unanimously. In other business, council extended a software maintenance contract and approved the appointment of Sandra Clements to the Cabell Huntington Hospital Board of Directors. During Good and Welfare councilman Mike Shockley praised interim police chief Hank Dial for the continuing stream of drug busts. At the Administration and Finance meeting prior to council, city manager Cathy Burns told council members revenue numbers at 50% of projections, while expenses stand at 46% of what is budgeted.